Asked whether the relationship between Taiwan and China is “state-to-state,” 59.7 percent gave a positive response, up from 56.2 percent in a similar survey conducted by TISR in April last year, with 25 percent saying “no” and 15.3 percent declining to answer. The survey, conducted on Monday and Tuesday, also found that 61 percent of those polled did not agree that Taiwan and “mainland China” belong to “one China,” while 26.8 percent agreed and 12.2 percent did not respond. The strongest “one China” supporters in Taiwan appeared to be those who identified themselves as Chinese Nationalist Party (KMT) supporters, the survey found, as 52.3 percent of them agreed that both sides belong to “one China,” 52.7 percent supported an alliance or unification, and 53.6 percent said they would accept a country with a new name. That means better than 40% of KMT supporters don't support the Party's core mission. The poll also found that satisfaction for Ma was at 15.7%. The poll did not ask about the services pact, probably deliberately. This poll is basically consistent with the others that find a low level of support for his Administration and for Taiwan becoming part of China, as well as "compromises" like "One Country, Two Systems." Beijing's heavy hand in Hong Kong is having an effect on Taiwan. It seems that Ma's rule has actually made the nation more pro-independence. Imagine that. Ketagalan Media on HoChie Tsai, the Taiwanese-American activist. Japanese Taiwan settler recruitment film from the 1930s: Youtube. What a strange collection of images of Japanese power. The stooopid, it buuurrrnnnns. AntiWar.com writing on China. Only there can you deplore the use of the international court to resolve a dispute. FPIF on Taiwan's Sunflower movement: what does it mean for the TPP? From longtime journalist in Taiwan. Seven politicians and academics, headed by former Democratic Progressive Party (DPP) chairman Shih Ming-te (施明德), yesterday unveiled the “five principles” of a proposal, named the “broad one-China framework” (大一中原則), that they say could resolve the domestic political divide and stalemated cross-strait relations. The group crosses party lines, and includes former Mainland Affairs Council vice chairman Chen Ming-tung (陳明通), who served under the DPP administration, and former National Security Council secretary-general Su Chi (蘇起), who served under President Ma Ying-jeou’s (馬英九) administration. Both sides should promise not to use military force or sign any military agreement that is unfavorable to the other side, and both should be allowed to join international organizations, such as the UN, and establish normal state relations with other countries, he said. The group doesn't cross party lines. Shih Ming-te, who is nearly always presented in the media as a former DPP Chairman rather than current KMT supporter, left the DPP (or was thrown out) around 2000 and has worked for the KMT ever since. He and two other DPP turncoats, Sisy Chen and Hsu Hsin-liang, along with some far rightist KMTers, formed the Mountain Alliance, which followed the KMT line. Shih ran against the DPP in elections as a distraction and vote sink for pan-Green votes. After heading up the Nationalist faux "anti-corruption" protests against Chen Shui-bian, Shih vanished into obscurity, only to seek the limelight again by accusing the DPP's Tsai Ing-wen of being gay. He gives every indication of being a KMT tool. The media, locally and internationally, generally ignores that to make the narrative more interesting than the sordid reality of petty betrayal and self-seeking that Shih appears to represent. Simply note the presence of Ma's former right-hand man and, according to some, Rasputin-style alter ego Su Chi, and you'll know what's going on. ADDED: One longtime observer remarked that Su Chi's association with Shih Ming-te in this endeavor is actually a signal of how marginalized Su has become. That said, the key here is the little poison pill. I've bolded in the last paragraph I've excerpted, which would forbid Taiwan from making alliances with Japan, the US, and other powers threatened by Chinese expansionism. Cute, eh? MRT suspect's parents apologize. Ritual apologies are important here. Why doesn't Taiwan have more rage killings? 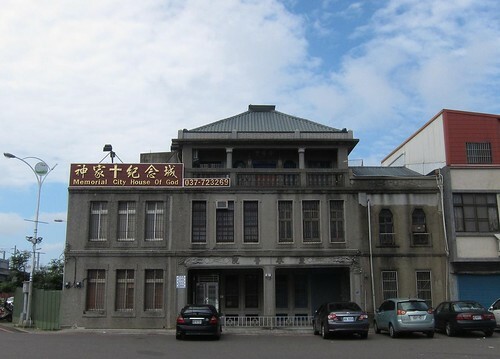 The Memorial City House of God, next to the train station in Houlong, which apparently was a hospital once. Metro killer: 19 arrested for threatening copycat attacks...*sigh* Many people complaining that the present of police on the Metro, some with assault weapons, is not making them feel safer. One man's action has cast a long shadow over one of the world's best, safest metro systems, and now everyone must suffer. Mass random killings are a form an extreme violence. Although we have yet to identify any strong predictors to explain such complex behavior, we can reasonably assume that it is driven by multiple biological, psychological, and social factors. Witch-hunts and the facile categorization they engender can discourage efforts to establish a systemic approach to identifying high-risk individuals. In simply the best work on rage killings of the last couple of decades, Going Postal, Mark Ames did in fact identify the source of the problem: America's toxic work culture. Jeff Sparrow at Counterpunch ("Rage Killings in a Neoliberal World") brings it together...Sparrow is talking about the recent killings in California, but he could well be talking about the ones in Taiwan. As I’ve argued before, the most interesting attempt to historicise the rage massacre comes from Mark Ames’ book Going Postal. Ames’ title reminds us that, in the US, such killings were once synonymous with postal workers (a historical fact that now seems almost quaint). That’s why he identifies the rise of rage massacres with Reaganomics: he suggests that neoliberal reforms to the postal service reduced job satisfaction, placed employees under unbearable stress and transformed workplaces into cesspits of toxic bullying. Signfiicantly, when Ames’ interviewed massacre survivors, some expressed a remarkable sympathy for the shooters, while very few surprises at the crimes. They’d expected something to give, they said, even if they hadn’t known quite what. Ames notes the migration of rage massacres from the workplace (in the 80s) to the school (during the 1990s), a trajectory that followed the generalization of neoliberal principles into the US education system. In their suicide notes, school shooters also referenced prolonged bullying, as the entrepreneurial values of mainstream American culture found schoolyard expression in concentrated form, and the gulf between the school’s winners and its losers became more pronounced and more significant. Like the workplace gunman, the teenage killer embraced mass murder as a brutal and incoherent expression of social despair. Taiwan is still in the first generation of the class revolution that has redistributed America's wealth away from its working and middle classes upwards for the last 30 years, and the young are still to a certain extent supported by the enormous wealth gained during the Miracle Economy years. the educational system trains the young to accept long hours of work under arbitrary authority as normal. outlets: Taiwanese can relocate to China or remain in masters degree programs, since so many have four year degrees. 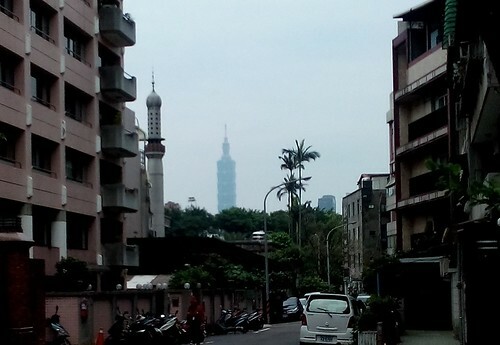 Thinking Taiwan: Problems with tolerance for minorities in the revolution? Cole writes about the links between the pro-democracy sides in Taiwan and Hong Kong. Taiwan Today on poll of Asian leaders from CSIS. A major finding of the poll is that 70 percent of respondents expect their country’s interests to be negatively impacted if Taiwan were reunified with mainland China through coercive means.Both the U.S. and Japan expressed the most concern at 93 percent and 96 percent, respectively, higher than Taiwan’s 89 percent. No kidding, this is an actual news story: Captain Phillips (kidnapped off Somalia) says Taiwan boats well-equipped. Housing market slows, slowing construction in April, the 4th consecutive month. President Ma still relentlessly pushing the services pact. Happiness. It's what he offers. As humans are busy boiling the earth to death, I thought I'd collect a few papers... This nifty paper has some public surveys and some thumbnail explanations of Taiwan's failure to do anything about its carbon-intensive industries in the face of global warming. However, the EPA was enforced to adjust its position on environmental protection. It is because the Executive Yuan is lack of a adequate decision-making structure. Mitigating GHG emissions involves many sectors, but climate issue is oversimplified as a pure environmental issue by political leader in Taiwan. How to response global warming becomes environmental affairs. In these political circumstance, the EPA, one of the smallest ministries in the Executive Yuan, is appointed to manage formulation and implementation national climate policy and the legislative process of the GHGRA. In the end, the EPA can not embrace its pro- environmental position, and it is enforced to take the pro-development position, which is similar to the EPA and those EIIs. In the level of the Legislative Yuan and the Executive Yuan. Among political leaders, climate change lends itself to gestural politics. Most political leaders claims they are willing to support for the GHGRA, and encourage the Legislative Yuan to pass this act. On the one hand, mitigating GHG emissions become a slogan of political correctness. Seldom of them doubt the necessity of reducing GHG emissions or the scientific certainty of global warming. On the other hand, the draft GHGRA has set aside from 2005 to now. Most leader are unwilling to pass the GHGRA with legally binding targets, because reducing GHG emissions involve two controversial political issues. The first issue is to adjust domestic industrial structure through changing the long-term low-energy-price policy. Taiwan highly relies on imported energy, as Table 14 shows, but Taiwan’s government, as a typical case of the developmental state, formulated the low-energy-price policy to promote industrial development and economic growth. However, low-energy-price policy leads in the development of these carbon intensive industries. 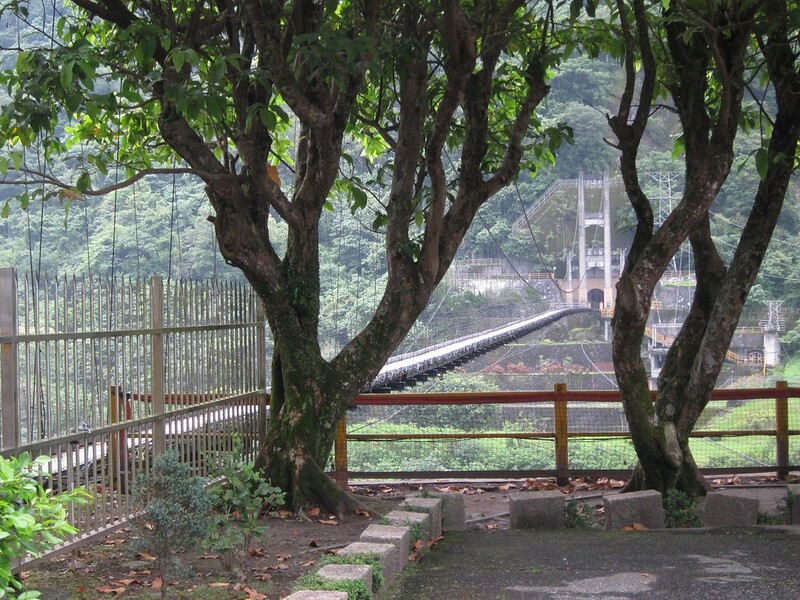 At the same time, most people in Taiwan take using low-price energy for granted. Most political leaders understand that changing low-price energy policy is necessity to meet GHG emission reduction target. However, they perceive that increasing energy price is harmful to their reelections. 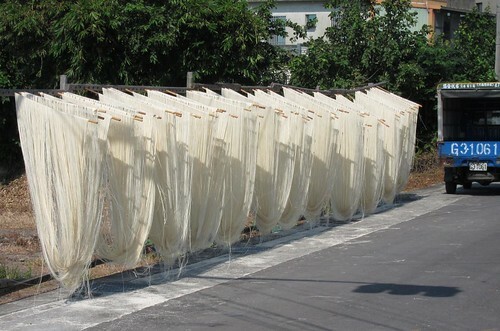 For some insect pests, such as smaller brown planthopper, rice leaf beetle, rice water weevil, Taiwan is considered the south most distribution area. Higher temperature in the summer may cause them to disappear or become the minor pests. Contrarily, for those insect pests that Taiwan is considered their northernmost distribution limit, such as the green rice leafhopper...temperature may help the insect to become more abundant (Cheng 1998). ....Taiwan shows a significant warming trend. The rise in annual mean temperatures over the last 30, 50, and 100 years all reflects this tendency (Figure 13). Of the six weather stations over the three periods, Taipei shows the most warming and Hengchun the least. In the last 30 years, stations along the west coast show faster warming than those along the east coast. Over the last century, warming has been most prominent in autumn. However, winter has warmed fastest in the last 30 years. 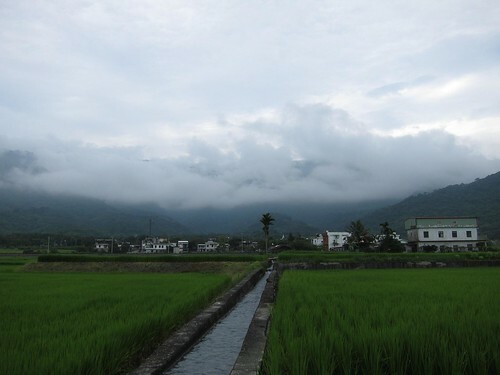 ....average annual rain days in Taiwan have decreased significantly. Numbers of rain day have decreased by 4 days per decade in the last 100 years and 6 days per decade. ...Extremely hot days between 2000 and 2009 increased by more than 10 days when compared to the period from 1911 to 1920. The entire report is beautiful, filled with charts and graphs. Very useful. Finally, global warming and the plant distribution. 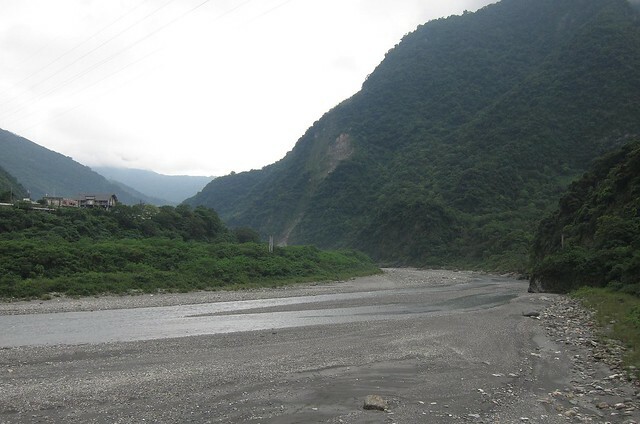 In addition to upward migration of plants to higher altitudes to escape the heat, that one also predicts rainfall will decrease in the west and increase in the east. NEWS: Two Taiwanese among the roommates killed by California mass murderer. WantChinaTimes on how the creativity of Chinese entrepreneurs beats Taiwanese now. NPR reviews the climate fiction book from Taiwan, the Man with the Compound Eyes. TSU says Ma's policies are trojan horses designed to flood Taiwan with Chinese. Retired military officers visit China for talks with counterparts in defiance of MND. "Significant increases of heavy precipitation and decreases of light precipitation have been reported over widespread regions of the globe. We examine data from 15 Taiwan Central Weather Bureau stations in the period 1961-2011, as well as global data from the GPCP (Global Precipitation Climatology Project, V1.0, 1979-2007), to show that global warming rather than aerosol effects is the primary cause of the changes in the precipitation extremes. Significant increases of annual total dry days and >=7 consecutive dry days in Taiwan during 1961-2011 are shown to be a result of the decrease in light precipitation and increase in heavy precipitation, thereby establishing a causal link among global warming, changes in precipitation extremes, and higher risk of floods and droughts. Similar links are expected over widespread regions of the globe." This one has been making the rounds for the past few days. From the Vancouver Metro. TECO finally got around to complaining. ....During the 1980s, Taiwan enjoyed an average annual growth rate of 7.7 percent. That figure fell to 6.4 percent during the 1990s and 4.4 percent during former president Chen Shui-bian’s (陳水扁) two terms. A major reason for this slowdown has been declining investment in Taiwan. The average ratio of investment to GDP was 28 percent during the 1990s and 23.1 percent during Chen’s presidency. Since 2008, the investment rate has fallen further to an average of 16.9 percent. The outflow of capital and talent is a more serious problem. In the past six years, there has been a net capital outflow of US$202.2 billion — an average of US$40.4 billion per year. The worst capital outflow so far was in 2012, at US$52.3 billion. Taiwan’s net capital outflow for Chen’s terms was US$105.8 billion — an average of US$13.2 billion per year. Note how under Ma the outflow to China has accelerated -- the strategy behind ECFA is to hollow out the island's productive capacity while positioning the move within the prevailing neoliberal economic framework. The reality is insignificant investment from China, massive outflows of cash to China, and no investment in Taiwan's future. The expenditures on the fourth nuclear plant were a complete waste; we could have been solarizing Taiwan with locally-made products, driving that globally-competitive industry higher, and giving the island's wind industry a huge boost with purchases of wind. Approved foreign direct investment in Taiwan was US$5.56 billion last year , higher than the US$3.81 billion in 2010 and US$4.96 billion in 2011, but much lower than that of Thailand, Vietnam, Indonesia, Hong Kong and Singapore, AmCham chairman Alan Eusden said. In 2013 the score was just $4.9 billion in "foreign" investment, with 29.2% of that coming from the British islands in the Caribbean and another 7.7% from Samoa, for a total of 36% from those offshore tax havens. That "foreign" investment is likely recycled Taiwanese cash. Thus, a little over $3.1 billion represents cash from foreigners who wanted to invest in Taiwan. What can Taiwan do to reverse these trends? A defection to China threatens Taiwan's national security. Jobless rate falls below 4% to 3.91%, but new graduates enter market next month. Malatangia, a Bunun festival. Ketagalen Media rocks. Thanks to the commenter who pointed me to this High Comedy on the Dallasblog which regurgitates KMT propaganda that the Sunflower movement was connected to the subway attack. Xi says Asia's security must be handled by Asians. No doubt in a great co-prosperity sphere headed from Beijing. Asia for Asiatics! 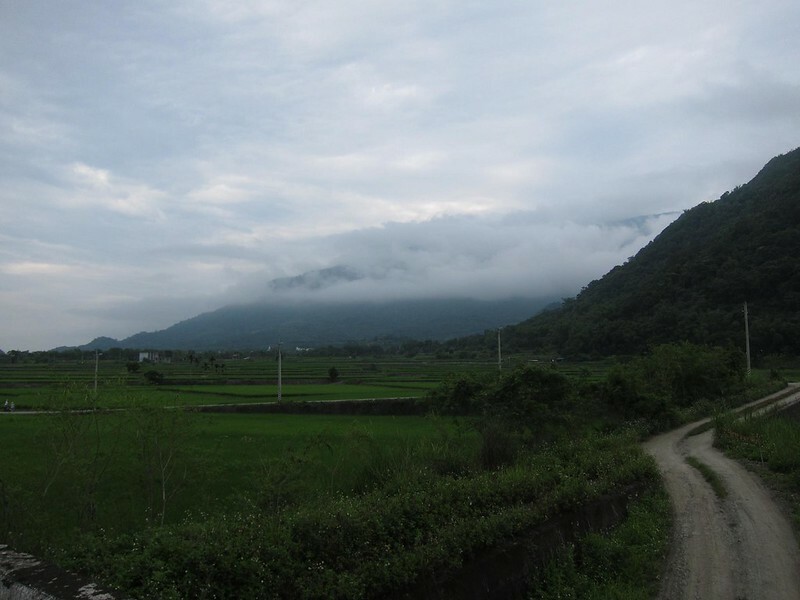 FASCINATING: Did N Korean agents kidnap American in Yunnan? A world I knew nothing about. Subway knife rampage? World media is all over that one. Policeman on the subway this morning. The suspect, who has been identified as Cheng Chieh (鄭捷) from Greater Taichung’s Tunghai University, allegedly started attacking passengers around him with a 30cm-long fruit knife while the train was traveling between the Longshan Temple Station and the Jiangzicui Station at approximately 4:26pm. He was apprehended by security guards, police officers and other passengers shortly after the train stopped at the Jiangzicui Station, from where he was taken to the Jiangzicui police station for questioning. “The suspect told us that he had since elementary school wanted to ‘do something big’ and that he had shared the idea with some of his high-school and college classmates,” Chen said. Chen said Cheng originally planned to execute the idea after he graduated from university, but decided to move it forward to yesterday after giving it some thought last week. “He bought two fruit knives of different sizes from a supermarket before he boarded the trains… His blood-alcohol content registered 0.04mg/L and he has no medical records of mental illness,” Chen said. “He showed no signs of remorse during questioning,” Chen added. @TaiwanExplorer trenchantly observed that Ma Ying-jeou's sixth anniversary on the Dragon Throne in office was marked by a large quake in the morning, torrential rains that killed a couple of people, and a knife attack in the afternoon. Appropriate for the colossal failure that is the Ma Administration. ....Meanwhile the China Times, a pro-China publication that relentlessly attacked the movement throughout the standoff at the legislature, published an unsigned article berating a group of activists who have mobilized for the preservation of the Losheng Sanatorium. Their crime was to hold signs of their cause in a subway car as the murders were taking place. 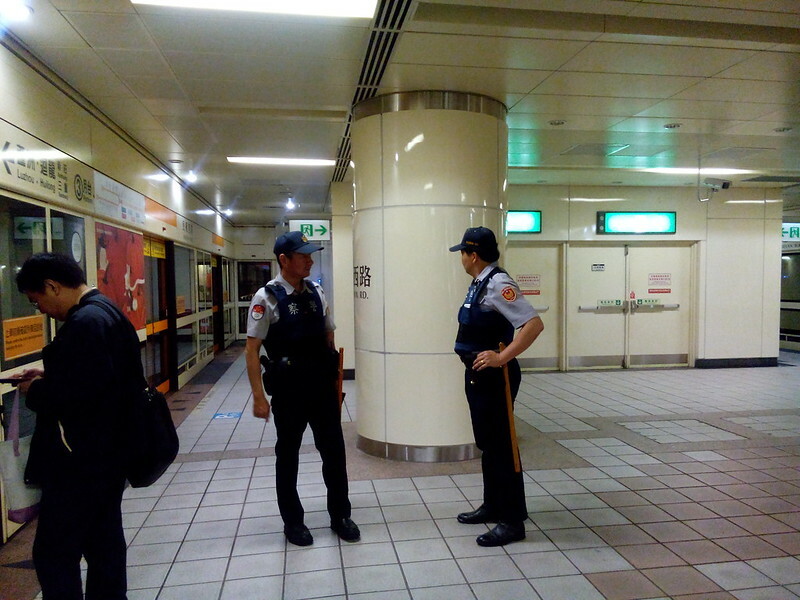 Only the article, which called the activists “selfish” and “cold-hearted,” didn’t mention that the group were on a different MRT line (Xinzhuang) and could not have been aware of what was occurring simultaneously at Jiangzicui Station, on the Bannan line. After the terrible knife attack in a Taipei metro train that has left four dead and more than twenty injured, I'm seeing lots of comments from expats professing how, where they're from, the knife-welding lunatic would have been tackled before he could have done so much damage. That may or may not be true, and respect to anybody who would have stood up to the guy. But isn't that kind of combat-ready cultural mentality what many of us are here to escape? Battle-hardened people may indeed be more likely to attack a dangerous assailant, but a peaceful people like the Taiwanese are far less likely to produce this kind of assailant in the first place. Don't criticize those who didn't attack the madman; they're part of the reason why this kind of horrific event is so rare here. The rift valley near Yuli. Based on the concept, the tax reform package includes the creation of a new individual income tax bracket with a marginal income tax rate of 45 percent for people reporting annual taxable income of over NT$10 million (US$329,446) a year. Under the current tax code, the 40 percent rate bracket kicks in at a taxable income of more than NT$4.4 million. The revision, if put through, is expected to affect around 9,500 people and generate an additional NT$9.9 billion in tax revenues. In addition, the business tax for banking and insurance institutions will return to the previous 5 percent from the present 2 percent, which is expected to generate an additional NT$21 billion in tax revenues. Also, the current tax credit afforded to individual shareholders receiving dividends would be cut by 50 percent and would generate more than NT$50 billion in tax revenues. All told, the increases will inject an additional NT$80 billion into national coffers. This move taxes income, not capital gains, and only affects a tiny number of taxpayers who suffer an insignificant increase in their overall taxes. It is merely a PR move. Except for the reduction in the credit, capital income is not affected. Major tax dodges, such as the assessed value on real estate, remain unchanged. The minister claimed this will help income inequality -- probably in some tiny way, it will. But read your Picketty (I just finished it, fabulous book): as long as returns to capital exceed the overall rate of economic growth, then income inequality will worsen. Unless the government meaningfully tackles the pernicious problem of untaxed accumulated wealth, income inequality will continue to worsen. Went out to the east coast for the weekend, which is why I haven't been blogging. On Monday we tried to bike into Mugumuyu but started too late and had to abort due to rain. It's gorgeous there; can't wait to get back. Taiwan's Identity Crisis at NewsChina. Fundamentally just doesn't get it, substantially misrepresents KMT actions. *sigh* Not much point in opening a news site if you are just going to repeat what the mainstream/Chinese media say. 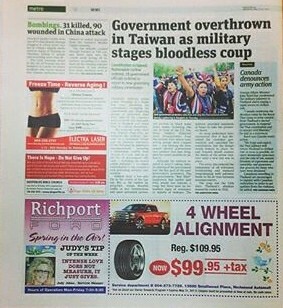 A Taiwan executive's nightmare in Vietnam during the riots. The narrative that the Vietnamese couldn't tell the difference between Chinese and Taiwanese factories obscures the labor-related aspects of the attack on Taiwan factories. Winkler Partners explain the new rules on residency. Student protesters form new group to tackle Taiwan's hyper-strict referendum rules. 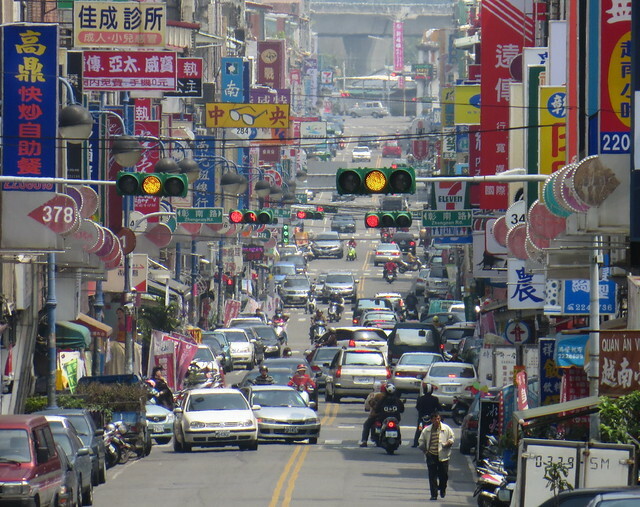 Taiwan approves high taxes on a few high incomes, but not on their wealth. Hence, this is just an exercise in PR. NOT TAIWAN: The Met puts 400,000 hi-res images online, lets you use them for free. The green card issue resurfaced this week with a Next Magazine story on President Ma. The officially unofficial US representative office in Taipei, AIT, quickly provided a letter saying that Ma had indeed formally renounced his green card. You can read the sordid unimportant details here. The interesting thing about the green card issue is how deep and visceral it is for Taiwanese now, unlike during the election in 2008 when Frank Hsieh first launched that claim. I've been hearing remarks on it all week, from one-liners ("Oh, you're a US citizen? Just like our president!") to treatises. It's not normal to hear unprompted political remarks, especially from strangers, and yet I have. It is obvious that the green card issue taps a deep vein of anger. A restaurant owner defined it today as we chatted in Hualien, saying that it is so wrong that Ma can make a mess of Taiwan and then simply run off to the US, leaving everyone here holding the bag.... ordinary people deeply resent the fact that Taiwan's rulers have a bolt-hole while they must suffer, and Ma's alleged green card symbolizes that. The violence that began to rip through southern Vietnam May 13 spread north the following day into Ha Tinh Province, where attacks that left one person dead and 90 injured broke out at a steel mill belonging to Formosa Plastics Group. The protests were triggered by China's deployment of an oil rig in what Vietnam considers to be its exclusive economic zone near the Paracel Islands in the South China Sea. The rioters targeted factories bearing Chinese-language signs, with little or no regard for whether they were Chinese or Taiwanese. It's nice to take a moment to reflect on how far we've come: the mouthpiece of a government that insists that everyone in Taiwan is Chinese differentiates the two here. But feel-good moments aside, the official story here doesn't add up for me. Are you seriously suggesting that the Vietnamese don't know that the factories are owned by Taiwanese? Some have been there two decades. And the rioting broke out at Formosa Plastics, a huge concern whose origin had to have been known. My man maddog was darkly speculating on Twitter that Chinese agents may have been behind the burning of Taiwanese factories in China. But I wonder whether the factories got burned because someone decided to hide a labor protest over the treatment of workers in Taiwanese factories within the riots. Reuters points out that the industrial zones got hit hard, and also that China is behaving in Vietnam the same way that it behaves in Taiwan: resources flow into China but no return investment comes out. The ROC on Taiwan rushed in to remind everyone that it owns the South China Sea. In fact the true-blue Chinese Nationalists first promulgated the famous "cow's tongue" map that stakes China's claim to the South China Sea, back in 1947, which the PRC also included in its Communist utopia. The reminder from Taipei was a classic "irritant" move of the Ma Administration, meant to increase the distance between Taipei and its natural allies to the south and west around the South China Sea, maintain the island's isolation, and convince locals that their only hope lies with China and China's victory over Taiwan is inevitable. Note also that the ROC claim makes it more difficult for the inevitable regional coalition against China to emerge and complicates US attempts to encourage it and draw the area's nations closer together. Ma is protecting Beijing to the extent that he can. This irritant shows how completely stupid and shortsighted Washington's policy of supporting the KMT is -- a DPP president would be a helluva lot more accommodating to Washington's goal of encouraging the emergence of a South China Sea regional alliance. While some in Washington supported Ma because they support Beijing, others thought that there would be less tension if they supported the KMT. 1 - the cause of tension in Asia is Beijing. Beijing will create tension no matter what happens in Taipei. 2 - supporting the KMT = supporting China. You can't follow a policy of opposition to Beijing elsewhere but support for the KMT in Taiwan. One conflicts with the other. Let's hope Washington wises up and finally supports the DPP as a way to help integrate Taiwan into its SE Asian strategy. Is academic freedom under assault? Low salaries in Taiwan under fire after an offhand remark by Terry Gou. Companies quickly explain that low salaries are due to low national competitiveness. Glad they cleared that up. 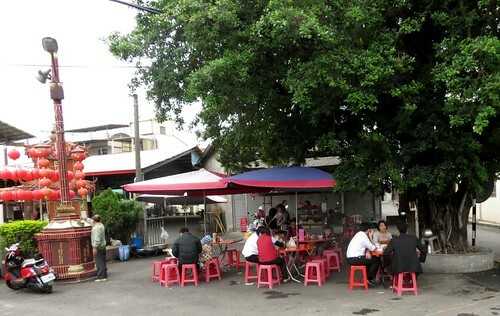 Nantou city, our nei di (內地). EXCELLENT: Thinking Taiwan with a piece that relates to my post below, on cleavage that divides generations. More bad economic news: FEPZ draft bills opens market to over 800 Chinese ag products. Stupid beyond belief. For comparison: the poverty of South Korean elderly. They lived and worked in a period when Korea was poorer than Taiwan. International boat show scores cash. For every Terry Gou blithering about democracy, there's a Jamie Lin who is dead on: He accused the government of lowering corporate income taxes, estate taxes and taxes on overseas income without any good reason, leaving the government starved of funding for key projects needed to develop the economy. One beach in Penghu saved. For now. J Michael looks at how the CCP is working on subverting Taiwan democracy. NOTE: PRC rig was placed in Vietnamese waters during Dienbienphu national celebrations for Vietnam, observes scholar M Taylor Fravel. Double standards of animal abuse for indigenous peoples and majority peoples. 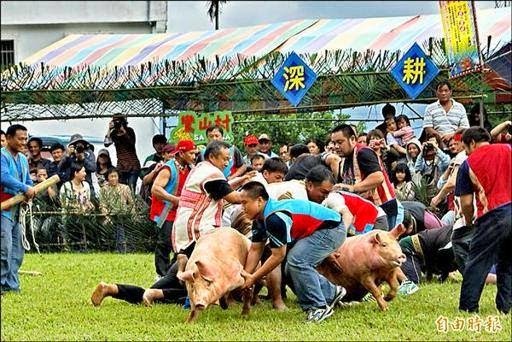 When the Bunun indigenous people have a pig catching contest, the state forbids it, labeling it as animal abuse. 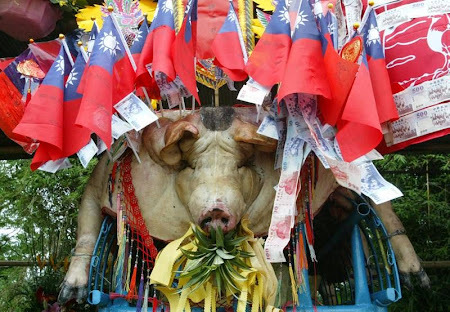 When the Han Taiwanese fatten up pigs beyond belief for temple sacrifices, they call it culture and promote it. 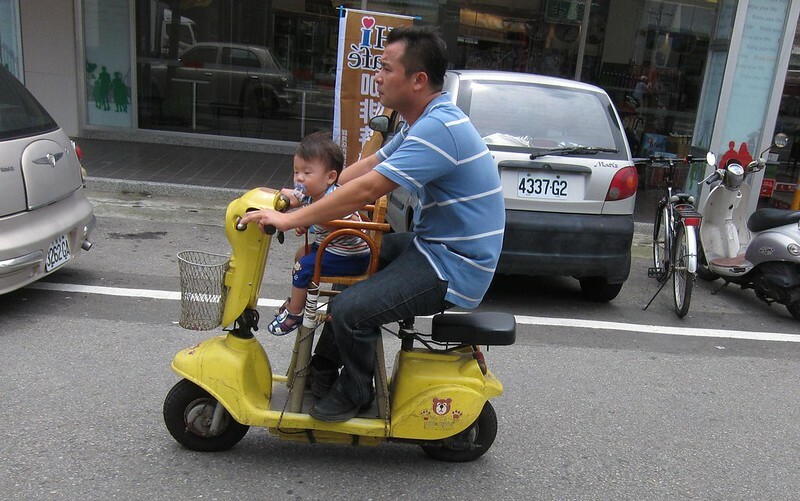 Popped over to Thinking Taiwan.com, where you should really be going, and read a lot today. One point that is made in various forms by many commentators there, and everywhere else, is that this generation of kids is different: it's the first to grow up under democracy. Cruelly, this generation's growing environmental awareness confronts an environment increasingly traumatized by the construction-industrial state, while many of its best management and engineering prospects must look for work in China. To put this in historical perspective, between 1895 and 1938, Taiwanese knew solid economic growth driven by Japanese subsidies for rice and sugar production which paid above-world-market prices for those items. For a brief period around 1936-37, per capita incomes in Taiwan may have exceeded per capita incomes in Japan proper. Thus the great-grandparents of this generation knew a land whose wealth and stability steadily grew. The war intervened and trade with Japan collapsed after 1943 with the US sub blockade. When the war ended, Japanese were largely repatriated, and the island was catastrophically looted by the KMT. Incomes plummeted and with the advent of a million or so extra mouths to feed in 1949, per capita incomes probably did not recover until the mid-1960s (Mendel discusses this in the classic The Politics of Formosan Nationalism). The KMT, probably deliberately, marks the beginning of its records in 1950, which shows steady growth (experienced by the locals, until about 1965, as recovery) throughout the 50s to the 80s, with a few blips. Hence, until 1990, two generations came and went under steady GDP growth and constantly increasing economic prospects. But the second of those two generations is still around, and it views things rather differently than the young. In its late 40s to early 60s, it is the true Strawberry generation, consolidating its gains, keeping its head down, not taking risks, deploring the action-oriented youth, and not taking to the streets to protect the future of its children. When their children took to the streets, they faced resistance from above: their parents cajoled, threatened, and forbade them from taking such action, according to many students I spoke to. When Hon Hai Chairman Terry Gou denigrated democracy the other day, saying that it didn't put food on the table, he was speaking as one in that older generation and many must have quietly agreed. Their experience is that democracy has brought slumping economic prospects and rising prices. What good can it be? But there's another generational change quietly taking place: when Ma Ying-jeou finally steps down from the Presidency, he will likely be the last mainlander president born in China. 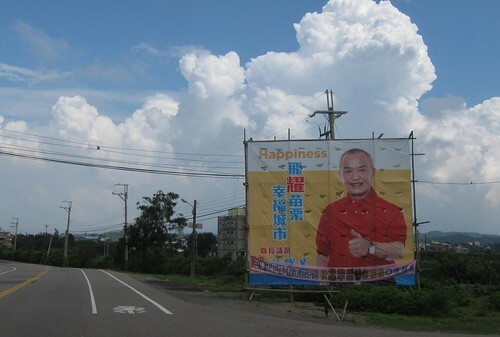 The current generation of mainlander candidates for presidency were all born in Taiwan, the place where their faux mainlander identity was created, a true-born Taiwan identity even though it regards the island as an inferior place of exile. 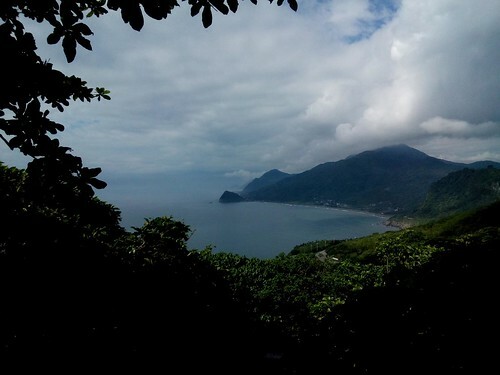 Their children, now in their 20s and 30s, are either emigrating, mostly to the US (like Ma Ying-jeou's daughters), or quietly adopting the rapidly evolving Taiwanese identity, which has both democracy and the island itself at its core. This generational change is happening within the KMT even as the DPP is finally handing off the torch to the generation that came of age after the democracy activism of the 70s and 80s. ROC on Taiwan expresses concern about Vietnam/China clash in South China Sea, and then claims the sea. The goal of this foreign policy is to reduce the support of Taiwan's neighbors by creating irritants with them. Meanwhile commentator argues ROC should leverage pivot to keep its holdings in the S China Sea. Recall that China will likely lose in the international court, and that will also invalidate the ROC claim. Pingtung County to jump on public bike bandwagon. Long post at Litanies (who?) on the energy market in Taiwan. With numbers! J Michael comments on launching Thinking Taiwan and responds to comments on my blog about nailing his flag to the DPP mast. Taiwan wants Chinese tour groups to stay longer since duration is too limited and prices have fallen, driving quality down. Taiwan LED packaging firms in China facing competition from China firms. Yet another industry. The China moment is over. We need more distance, not more integration. Another cult of integration fail: the massive China copying and faking of Taiwan goods, in this case tea. NOT TAIWAN: Oceans without fish. 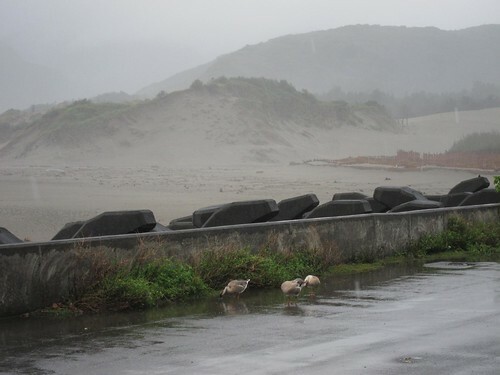 Devastating El Nino possible this year. Hon Hai Technology Group chairman Terry Gou (郭台銘) said yesterday that “democracy makes no pottage” and that social movements were only a waste of social resources that did the nation’s GDP growth no good. Long before the protests against the cross-strait service trade agreement began on March 18, I had said that if the agreement were blocked, Taiwan’s economy would do better than forecast. Today we are faced with the facts. The student movement saved the nation just before the doors to hell were closed behind us and public confidence has increased. In March, during the student protests, exports reached US$27.76 billion, the third-highest month in history. Last month, economic indicators remained “green,” signaling steady growth, and foreign stock investors overbought for 26 days, with net purchases reaching NT$137.5 billion (US$4.6 billion). These amounted to market approval of the political turmoil that went on for more than a month. Furthermore, the stock market index increased by 172 points during the student protests, or 1.98 percent, making it among the strongest markets in Asia. The third was then-president Chen Shui-bian’s (陳水扁) announcement putting an end to the “active opening” policy on New Year’s Day 2006 and applying the breaks to further deregulation of cross-strait trade. The result was that the economy took a turn for the better, and 2006 and 2007 provided the best economic performance during Chen’s eight-year presidency, with the stock market almost breaking through the 10,000-point mark, reaching 9,859 points. Both the Trans-Pacific Partnership (TPP) and the Regional Comprehensive Economic Partnership (RCEP) are important to Taiwan and will play a crucial role in the country's economic development, Cho said in his opening remarks at an international forum on the service industry. 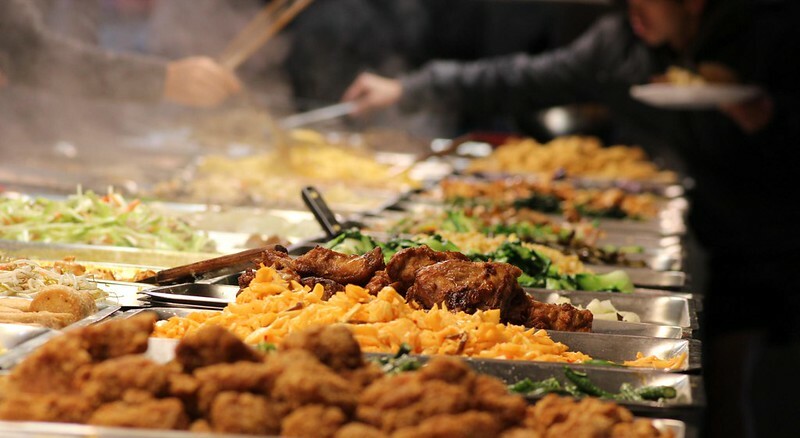 The output of Taiwan's service industry could fall by US$1.9 billion if the country fails to join the TPP, but could increase by US$8.58 billion if it becomes part of the economic bloc, he said. Although services account for 70 percent of Taiwan's gross domestic product, they make up only 1 percent of the global market, Cho said. "There is plenty of room for Taiwan to develop," he added. Taiwan should open up its services market more, which could help upgrade its industries, increase output and create jobs, Cho said. The last is actually correct. The catch is, you have to open up to a market that is better than you at doing these things and competes on quality, so you can learn from it, not from one that is less skilled than you are and competing on cost. China can't upgrade Taiwan's service industries; the effect will be the opposite. Indeed, we are already seeing that in manufacturing. Respecting this neoliberal discourse, the students did not disavow the neoliberal economic religion itself, but rather emphasized that they were for a good trade pact, but the services pact isn't one. This was a clever move and even better, the international media reported it correctly. Meanwhile, as if to prove that we don't need the services pact, two Taiwanese banks announced further overseas expansion this week. Cathay Financial Holding Co. said it has obtained approval from the Central Bank of Myanmar to set up a representative office for Cathay United Bank in Yangon, which the parent company expects will open during the third quarter this year. Yangon, in Myanmar. Lots of people predicting Myanmar will be The Next Asian Tiger. Taiwanese firms already trickling in, but other Asian states remain far ahead in investment there, with China in the lead. With new investment markets like Myanmar opening up, distancing Taiwan from China and slowing the pace of integration is a possibility that should be a policy... but not under the current Administration. Taiwan hospitals suffer from nursing shortages. Hospitals and nurses are another example of the way female labor is exploited to maintain the profitability of local institutions. US might tap into Taiwan early warning radar. Head of national security bureau Tsai De-sheng resigns. Many observers are interpreting this as Ma's right hand King Pu-tsun sweeping out those who will not play ball -- Tsai was one who did not sing the praises of China. Pro-KMT paper says students lack independence of thought and objectivity. Because you are only independent and objective if you do what the KMT tells you to do. KMT under threat: Changhua County Chief KMT primary is contested by the losers (FocusTw reports winner). This is splitting the party in Changhua. In Nantou there are two serious pan-Blue candidates, helping the DPP. In both counties the KMT faces corruption scandals. Yeehah. The Changhua KMT and DPP likely nominees are both current legislators so the election of either will trigger a by-election, as will a couple of other races. With a tight race in Taichung, central Taichung politics will be fun this year. With journalist J Michael Cole as its editor in chief, a new platform for Taiwan centered journalism and commentary, Thinking Taiwan, opened officially this week (Facebook, Twitter = @ThinkingTaiwan). The online news and analysis site is funded by DPP Chair and former Presidential candidate Tsai Ing-wen's foundation. The awesome Sean Su, whom I've been trying to get to marry my daughter, techie and Taiwan activist in States, is running the platform. If the opening round of pieces is any indication, this will be a great place to learn about Taiwan. At the moment it hosts remarks on its opening by longtime China hand Jerome Cohen (who managed to slip in a slap at the DPP in his usual style), a piece on the ADIZ over the Senkakus by longtime defense specialist Mark Stokes, whose work I admire very much, a piece by Aphrodite Hung of the Black Island Youth Alliance, a piece from Tsai Yin-wen, a piece on legal norms by longtime scholar Stephane Corcuff, a piece on the global youth movement by longtime scholar Don Rodgers, and other goodies. A veritable treasure trove. Won't be getting much work done today! Really looking forward to the next couple of years of reading on this site. UPDATE: This piece on Taiwan's presidency by Lin Cho-shui is great. I am sooo not getting any work done today. With the exception of Cohen this is a very pro-Taiwan crowd of writers, but I have heard that Cole hopes to source work from the pro-KMT side. It sure would be great to see some high quality stuff from the Dark Side. Though Thinking Taiwan wants to be "non-partisan" it will be a huge challenge to fulfill that goal, in part because the pro-Blue side is so difficult to defend rationally and truthfully, as I have noted many times over the years, which means it will be hard to find good pro-Blue writers. Whatever happens, a website full of intelligent commentary on Taiwan is a huge step forward for the island. Way to go, J Michael!